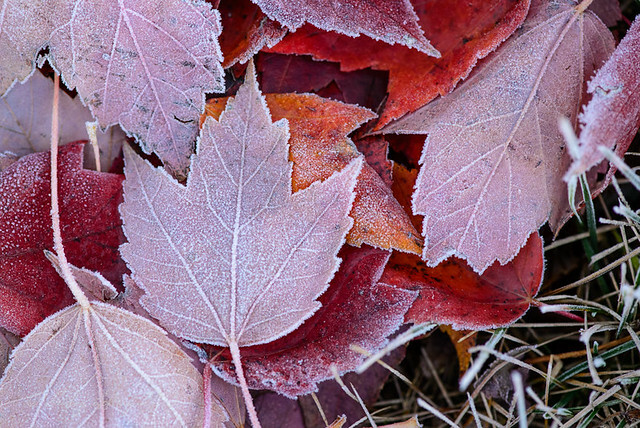 I couldn't resist the fresh coat of frost on the grass and leaves this morning. The recent rains and wind have stripped the trees of their pretty leaves, but they are almost as lovely on the ground as they are on the branches. Even devoid of color, I love the lines and texture. There's even a bit of green still around. 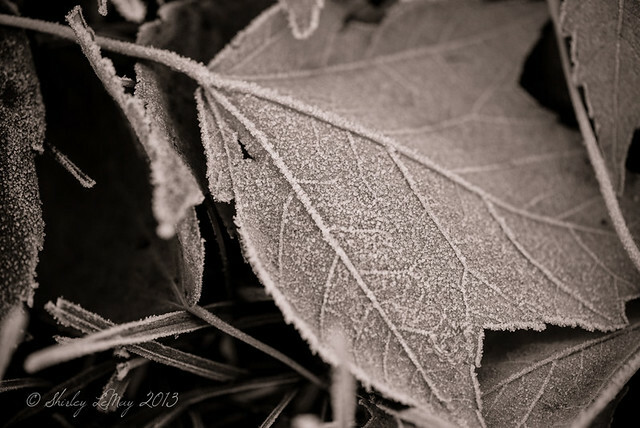 Frost is fleeting - once the sun hits, it's gone. How stunning and beautiful. I love the colored. 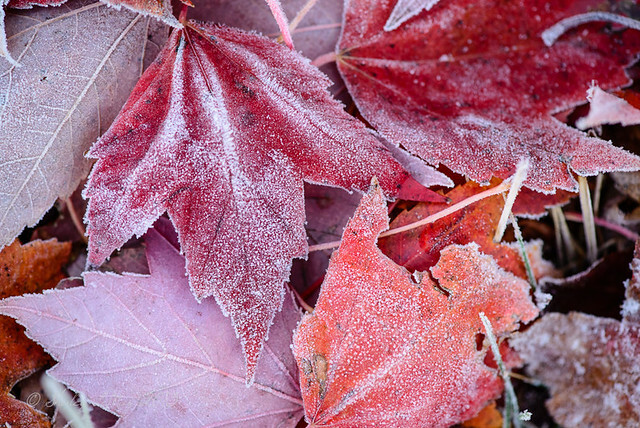 We had a pretty good frost this morning as well - should have followed suit and gone out for some pictures (I suspect though we'll get more). Love the candied details on these. Gorgeous Shirley! Love the detail in the black and white. It always takes my breath away how marvelous nature's work is... you've captured it beautifully. 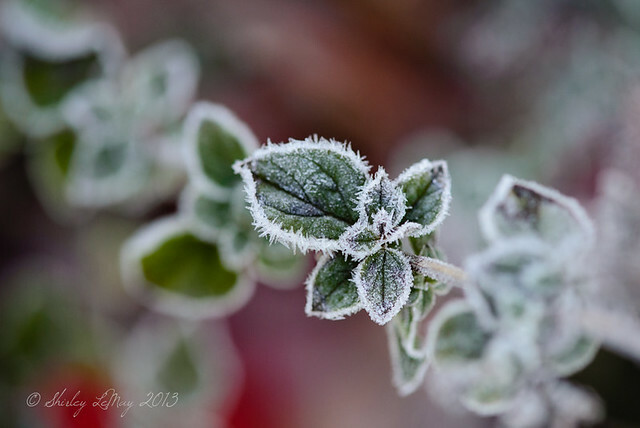 Great pictures - frosts are a rarity in my little part of the world. These are so pretty, Shirley. It looks like they are sugar-coated.